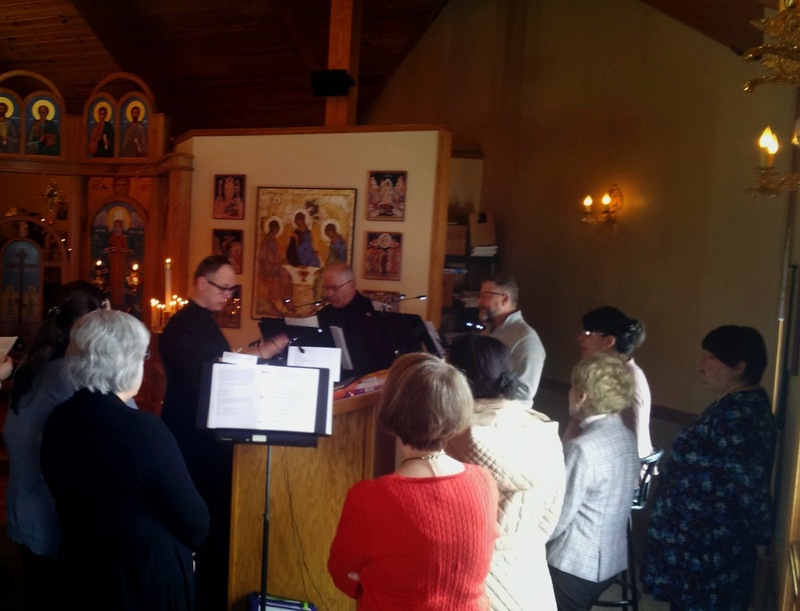 All Orthodox services require music and sung responses as part of the worship. At St Innocent, we encourage full congregational singing. To facilitate this, at every service we provide copies of the variable hymns of the day. At the same time, those who can read music and sing parts are encouraged to sing with the choir, which provides harmony and leadership for the congregation's singing. The music sang at St Innocent is predominantly of Slavic Tradition. Many of our hymns are what you will hear in most OCA parishes across the United States. If you would like to join the choir, speak with Ellen D'Fantis, the choir director. Besides the choir, we also have a reader ministry. At it is common in the Orthodox Tradition, our readers read in a prayerful monotone manner. If you would like to join the reader ministry, please see or contact Dale Hudak.